Canada is certainly not an old country when compared to many others like France or the UK but it has been around long enough to have some very interesting history. 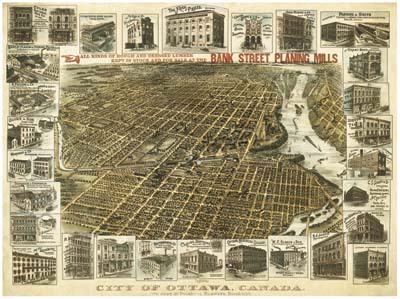 Here are some historic aerial images of major cities in Canada. It is interesting when you compare some of these with modern maps and aerial images, as then you can get a real appreciation on what urban sprawl looks like and how cities develop and spread over time. Also remember to check back to the new Historic Cartography section as more content is added weekly. I recently returned from giving a presentation at Carto2013; an annual Canadian cartographic themed conference that was held at the University of Alberta co-hosted by the Canadian Cartographic Association (CCA) & the Association of Canadian Map Libraries and Archives (ACMLA). One of the key themes evident at the conference was related to history of cartography and history through maps”, a topic that many of the presentations were related to and several of these talks were about 1826 maps of Northwestern North America created by David Thompson. I myself have never really had much interest in history however these presentations provided me with a much different perspective on history and maybe I have found myself a new (or old??) to explore. Yesterday while searching for some Canadian maps with my daughter I stumbled across yet some more historic themed cartography, so I thought perhaps we should start a new section on CanadianGIS.com related to Historic Cartography since it is pretty evident that this is becoming topic of interest to many in the Canadian Geomatics community. Vancouver, BC, 9 May, 2013 — Cansel announced that they have received Autodesk’ coveted Platinum Award for the highest growth for new sales in Canada, during fiscal year ending on January 31st, 2013. Cansel was the only Canadian company to win Platinum Award from Autodesk for Autodesk’s fiscal year 2013. For 30 years Cansel’s in-house experts have provided tailored solutions of Autodesk technologies including training, support, customization and programming, workflow optimization and standards development. It is now the largest reseller of Autodesk solutions in Canada and ranks number 4 in North America. Autodesk ® is a registered trademark of Autodesk, Inc., and/or its subsidiaries and/or affiliates in the USA and/or other countries. Markham, ON – April 30, 2013. 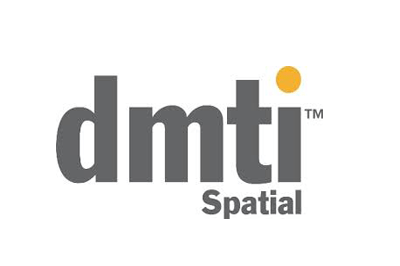 DMTI Spatial Inc. (DMTI), Canada’s leading provider of Location Economics solutions, announced that it has been chosen by First Calgary Financial to provide an address quality solution for its new data warehouse initiative. First Calgary Financial will be using DMTI’s Location Hub® software to clean, validate and geocode all customer and prospect addresses before they are loaded into its new data warehouse. They will also be using this SaaS offering to maintain rigorous data quality over time and further enrich their customer information with additional insight to better measure risk and uncover new opportunity. DMTI has been providing industry-leading enterprise Location Economics solutions for almost two decades to Global 2000 companies and government agencies. DMTI’s world-class Location Hub platform enables real-time decisions by uniquely identifying, validating, analyzing and maintaining a universe of location-based data. Through a strong partner ecosystem, DMTI enables its customers to use location as a frame of reference to enrich customer, prospect, vendor and infrastructure insight with a wide variety of attributes to better identify risk and opportunity. Today we have a scan of a Vancouver Mission (British Columbia) Route Map taken from The Automobile Blue Book published in 1917. Online Web mapping involves designing, implementing, generating and delivering maps to end users via the Internet through common web browsers, allowing people to use maps interactively with out needing high end software. 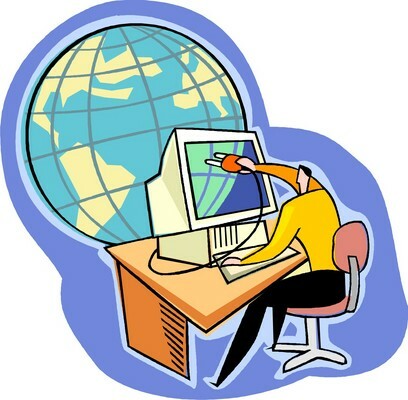 Web GIS is very similar to web mapping but provides analysis, data processing, publishing and other GIS abilities. Often these two terms are used synonymously, even if they are not exactly the same product. None the less both have been increasing exposure over the past few years, a major accomplishment for the GIS industry and since Web mapping can not exist without GIS, (and for simplicity) we have combined these all into one category here on the site. Our web mapping section examines the various online web mapping and web GIS applications that have been created all across Canada. Some of ones that we have covered are ones that we use on a regular basis, some that we stumbled across and some have been submitted to us by others. So as you browse through the our Web mapping section category you will find that are a wide array of online mapping applications with Canadian content being offered via the internet from Nova Scotia to British Columbia. 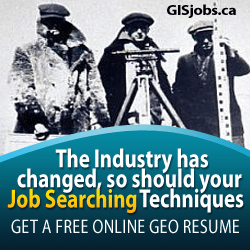 GeoGratis is an internet portal web site provided by Natural Resources Canada. 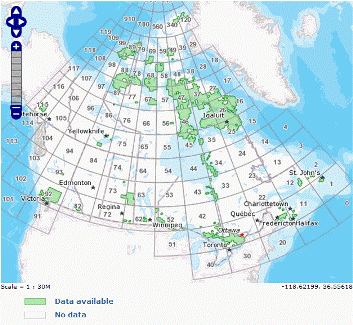 It is designed to offer Canadians with digital geospatial data free with limited restrictions. So far this year Natural Resources Canada has released over 350 updated or new topographic map sheets and made them available to the public in what they refer to as the CanTopo series via the GeoGratis web site [geogratis.gc.ca]. CanTopo is considered the next generation of topographic map sheets that provides quality spatial information that fully complies with international geomatic standards. The digital maps are considered multipurpose because they can be utilized for a wide range of uses from many different organizations and individuals. 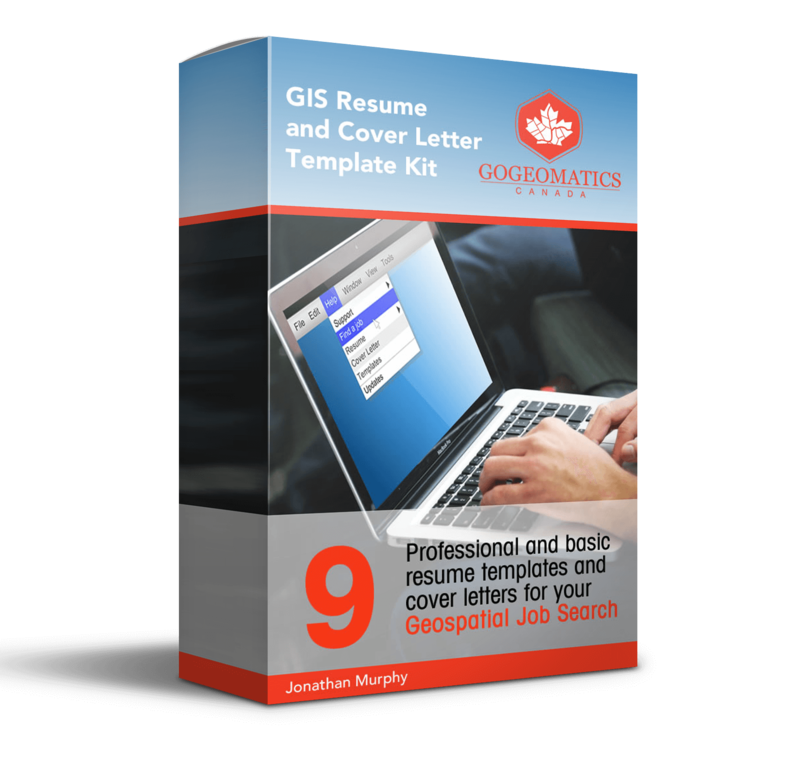 Georeferenced versions can also be used with Global Positioning System (GPS) receivers and other digital geographic data sets with various software packages such as Google Earth, ArcMap or Global Mapper. You can also simply print them and use them the way they are, as regular NTS paper maps, just like most of done for years. The spatial reference system CanTopo data is Universal Transverse Mercator (UTM) referenced to the North American Datum of 1983 (NAD83) in the Canadian Spatial Reference System (NAD83CSRS). A Downloadable file formats include PDF, GeoPDF, TIFF, and GeoTIFF. For more information on these digital products you can refer to the official product specification sheet. Some of the new maps released this year include ones covering parts of our Canadian northern regions that were previously unmapped at a 1:50k map scales, and also several map updates for areas in Ontario, Manitoba, Nova Scotia, New Brunswick and Saskatchewan. Here is a short list of some of the new topographic maps available on GeoGratis. They have the digital files available via ftp [ftp://ftp2.cits.rncan.gc.ca/pub/cantopo/] if you know the map code for the map sheet you are looking for or you can also go to the CanTopo search tool to search for the map codes and regions that are available (More CanTopo map sheets are scheduled to be published quarterly) to start searching and downloading maps for your own use. The Fundamentals of GIS Certificate program from Humber College is designed for every day practitioners such as office managers, technical professionals, and or support staff responsible for managing and using GIS data sets. It has been designed to appeal to many people from various disciplines such as urban planning, transportation, engineering, natural resources and business industries. The program is delivered via online format only so students can be located virtually anywhere in Canada and still upgrade their GIS skills while maintaining an everyday job. See the Course Web Site for more details. 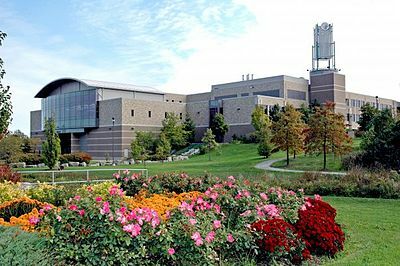 If you are a student, facility or someone who has any more knowledge, feedback or comments to share about the Humber College GIS program then I encourage you to share them. You can either use the contribute more info form or the comment functionality below. As many of you already know or perhaps may have recently discovered, CanadianGIS.com has been high-lighting places in Canada that have an online web mapping site or application in order to help better provide information to their residents. Now this month the Town of Banff is featured as they too have now joined the spatial ranks of several other Cities and Municipalities in Canada with the launch of their own online mapping site (Simply check out the Web Maps category link or the site search tools along the right side to find many other great Canadian Online Map sites featured). Their new Maps and Apps website created by the Town of Banff GIS and IT departments now provides free public access to maps and geospatial applications that help the Town of Banff provide better services and connect with it’s own citizens in a new way. Through pre-made web served maps created from a collection of over 200 different layers of geographic information, people can find local services, learn more about projects, explore regions of Banff or create their own maps. The various geospatial applications also provide a new way to allow citizens to get more involved by providing them with interactive tools, such as better ways to report street light outages or problems with transportation. Using Esri Canada’s Community Maps Program and ArcGIS Online, Esri’s cloud-based GIS solution, the Town of Banff has been able to serve detailed accurate base maps, provide several pre-made maps and value added applications. This mapping solution has allowed them to efficiently produce more than 25 free maps and applications (online, mobile & PDF) such as the Bike Banff mobile app or the interactive Heritage Walking Tour application. The pre-made free maps and applications make it easier for residents and visitors to quickly find the information they need to help make better decisions. The maps and apps are organized around city services and the information you need to do business with the Town of Banff on a daily basis. You’ll find maps and apps provided by the Town’s departments of Corporate Services, Engineering, Operations, Planning, and Community Services.The site will also highlight innovators and innovations that demonstrate a more collaborative and open government. 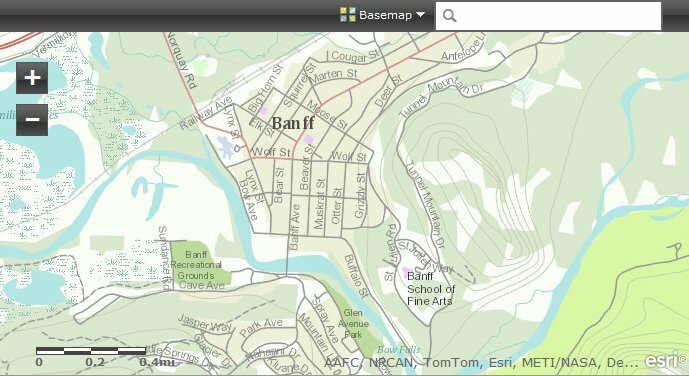 The various maps and apps available on BanffMaps.ca are supported by the following browsers: Firefox 3.5+, Chrome 4+, Internet Explorer 7+, and Apple Safari 3+. If you have an application that is not listed in the Maps and Apps gallery or can think of a great idea of one using Town of Banff data, then they have a section on the site where you can submit your map or application. Town of Banff are also further exploring their mapping capabilities by planning to deploy several staff with iPhone smartphone devices, providing them with the ability to access and update GIS data from outside the office. This could provide value added management where staff can track snow-plow locations, report accidents and traffic congestion as well as many other time sensitive tasks. Now while this site may not be as robust or great as some other online map applications that I have covered, it still is a pretty easy to use mapping site with plenty of free maps and applications making it easier for residents and visitors to quickly find the information they need to help make better decisions. So keep an eye on this site as it will no doubt grow much larger as more people discover it and get involved. 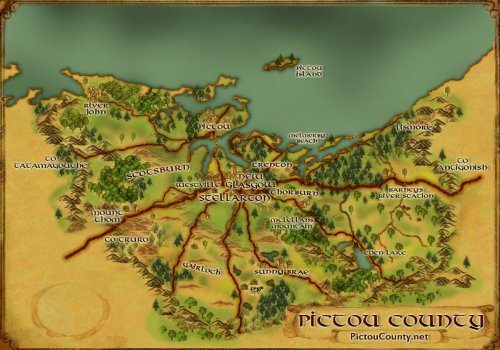 If you know of an online web mapping site that should be included in the CanadianGIS.com collection of Canadian Online Map Sites then I encourage you to contact me.